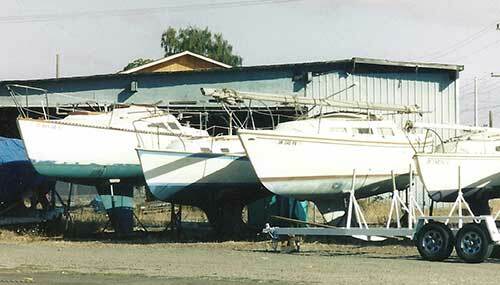 Under Way LLC offers safe and secure sailboat storage for your sailboat and trailer. Low, reasonable rates for winter and summer storage. Located in Eugene, Oregon right on the way to Fern Ridge Reservoir. We can even haul your boat to and from the lake. All boats are charged a tarp fee of $22. This tarp will last about 2 seasons. Also, a fee of $25 will be charged to re-apply the tarp for seasonal storage. Trailer storage, boat storage, or storage of boat on trailer is all the same price.